Hello! Sorry for skipping last week’s update; I was overwhelmed at work and didn’t spend enough time working on my game to justify posting an update. Fireballs leave pools of fire on the ground. 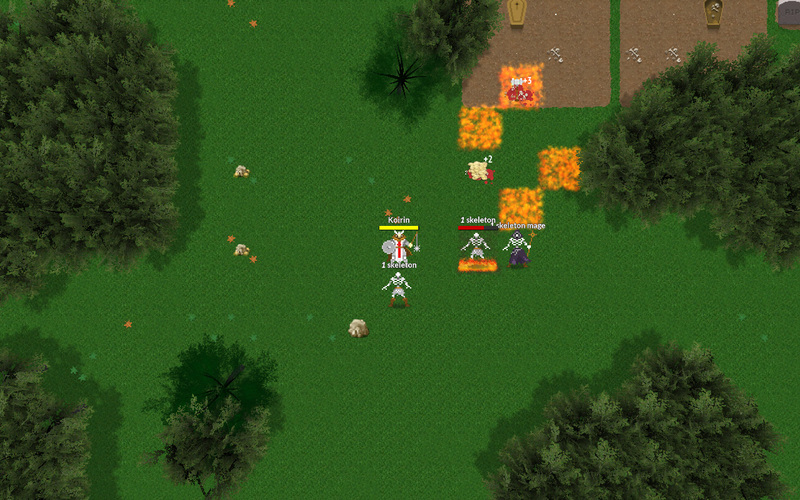 NPCs will catch on fire if they walk on the tile, affecting a status effect that deals 4-8 fire damage for a few turns. Fire will extinguish after a few turns. Spiders are able to throw webs that makes NPCs unable to move, but able to take actions. The Poison Field ability creates a pool of poison on a tile nearby the caster. Any NPC walking on the tile will get poisoned. 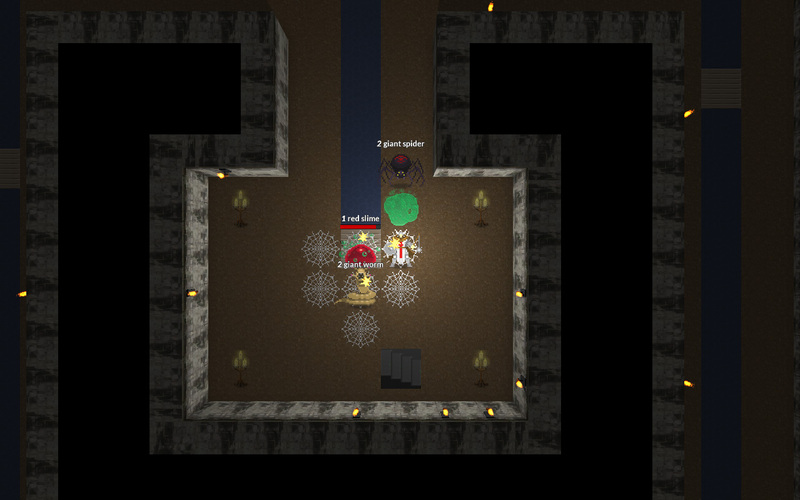 Wizards can use the Energy Field ability to create walls to protect themselves from creatures. Thieves can leave deadly traps that can deal massive damage, debuffs or defensive. NPCs have unique dialogues upon seeing or walking over tile effects, and also when getting status effects. These dialogues differ for each type of effect, so they will comment on being on fire, frozen, getting stuck, being stunned and so on. I have to adjust the AI so that intelligent creatures do not step into traps, fire or other effects unless they don’t have a choice (such as when they are fleeing). They also tend to use abilities that create effects that are too close to them, making them vulnerable. Flying monsters (such as beholders) should not be affected by most tile effects as they don’t touch the ground. Once you start testing a new game system, it becomes obvious how each little detail affects the game world. Suddenly you have a never ending list of things to take care of! In the future, I also want to create tiles that are able to react to certain effects such as fire spreading through vegetation, lightning spreading through water, and so on. I want to bring some ideas that Nintendo brought in Legend of Zelda: Breath of the Wild to create emergent gameplay. I also released the fourth version of the game to private testers; the focus of this version was to make it easier for new players to get into the game. I got great feedback from this version; it reminds me that I still have tons of work to do to make the game easier to pickup for the first time. I am still working on the sewers dungeon; I will share more about them very soon once I made sufficient progress.